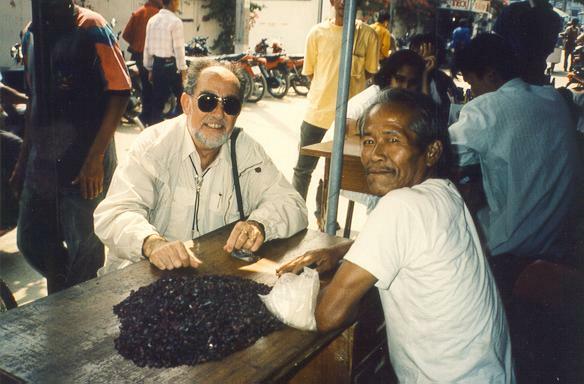 André Van der Schueren " A Burma lover "
Mogok is not the only active ruby mining area in Burma. Stones from the Mong Hsu deposit, is located in Myanmar's Shan State, northeast of Taunggyi, first began appearing in Bangkok in mid 1992. Since that time they have completely dominatedthe world's ruby trade in sizes of less than 3 cts. 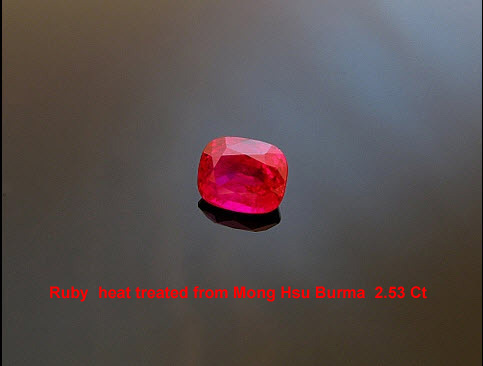 Indeed, 99% of all the rubies traded today in Chanthaburi (Thailand) are from Mong Hsu.In terms of quality, Mong Hsu rubies cannot compete with Mogok stones.Before heat treatment,the Mong Hsu ruby is certainly an "ugly stone". like low-grade. Ordinary heat-treatment removes the blue, as well as removing silk, making the final product a rich, clear red. See the excellent article of R.W. Hugues on internet.